If you’ve ever tried strip-setting on a 150-pound tarpon with greasy, sunscreen-coated hands, you already know why we made our new Sun Gloves. It’s the same for hanging onto cork when a big bone streaks for the horizon, or the oar handles as you drop into Oak Springs. 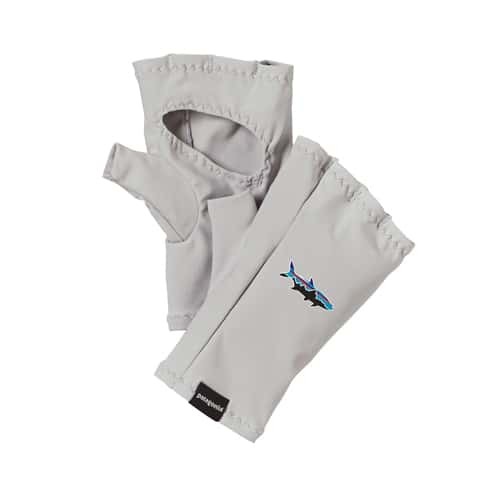 These simple, fingerless gloves (with cutout palm for grip and sensitivity) replace liquid sunscreen with lightweight, fast-drying poly/spandex fabric and 30-UPF sun protection. Better yet, they never wash off.